Eczema is closely associated with food allergy. The more severe, and the more early onset eczema, the more likely to be a food allergy. All eczema children need to be tested for food allergy. Skin prick tests can identify many of these food allergens. Non-IgE reactions need IgG antibody measurements. All babies and children with eczema need to be tested for food allergy. There is a vast amount of medical research data that clearly demonstrates that food allergy is a major factor in eczema in childhood. If your child has troublesome eczema, then we suggest that you get a full assessment for food allergy/ intolerance. 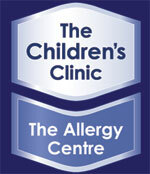 We offer this service at The Childrens Clinic | Allergy Centre, Christchurch. Two thirds (65%) of children with atopic dermatitis / eczema have milk/egg/wheat/soy/nut allergy. Eczema and food allergy: linked! The research evidence is so strong – so why the controversy? our goal is to have their skin near perfect within 12 weeks. Often we can achieve this. The medical evidence, without-a-shadow-of-a-doubt, shows that food allergy and eczema are strongly linked. Oddly, this is the complete opposite to what most dermatologists will tell you. Why is this so? I don’t know. Perhaps it a case of only seeing what you are looking for. Sadly, at The Children Centre (https://www.thechildrensclinic.co.nz/cms), Christchurch, we hear parents comment like this everyday. Contrary to this dermatology dogma, our experience is that most (80%) children who are troubled by eczema do indeed have food allergy triggers. When you detect their problematic foods, you have found a solution to their eczema. Most of the eczema children who come to our clinic get hugely better because we pay close attention to their food allergy. All children who have eczema get tested for food allergy at our clinic. As a paediatric allergist and gastroenterologist, I have spent my medical career in the allergy field. My philosophy is to solve my patient’s problems. For eczema, this means seeing eczema as a symptom – not as a stand-alone disease. Although many people do have a genetic propensity to develop eczema, there is usually a trigger or cause for it to become manifest: foods in the younger, and environmental allergens and gluten in the older patients. I have written up my allergy approach to eczema in a book: “Eczema! Cure it!” (available in print, and as an ebook) http://www.smashwords.com/books/view/47087. It is my opinion that every baby/child/adult with eczema needs full allergy testing and then action. As a junior doctor in the hospital, I would talk to the mothers who had babies with severe eczema. In those days, these children were admitted to hospital under the dermatologist for intensive steroid and antibiotic treatment. Many of these mothers would tell me that some foods they were offering were causing of the bad outbreaks – especially milk, egg and wheat. If this was true, this meant that these babies could be treated (and cured) for their underlying disease rather than just concentrate on dressing the skin. Enthusiastically, I applied to set up the clinical trial using the double-blind food challenge technique (this was in 1978). However, my senior pediatric colleagues were negative and skeptical. They told me that food allergy was “a figment of the parent’s imagination”. Nevertheless, with 126 children and their willing parents, we successfully carried out this study. We did find a link with eczema. We did find significant relationships between egg/milk allergy reactions, and with positive skin tests to these foods, and with atopic illness (including eczema/ atopic dermatitis). (see paper: “Egg and cows’ milk allergy in children.” Ford, Fergusson. Arch Dis Child. 1980;55(8):608-10). After this gratifying experience (30 years ago) I have continued to investigate all eczema children for food allergy, gluten sensitivity and inhalant allergy. By paying close attention to these underlying triggers, these children get very much better, their families are happier and have less stress: and a reduced need for on-going steroid usage. What has surprised me is that with the research of numerous others that show this eczema-food link, that there remains doubt, skepticism and disbelief. Why is this so? A recent research paper by Wang & Sampson (J Clin Invest. 2011;121(3):827-35, http://www.ncbi.nlm.nih.gov/pubmed/21364287) declare food allergy to be very common. Food allergy is extremely common. However, most doctors will not consider food allergy in their diagnostic list – only as a last resort. But symptoms are often treated in isolation, without understanding underlying causes. Often symptoms are attributed wrongly to viral illness. A community study looked at the difficulties faced by children in getting a diagnosis of cow’s milk allergy. It took an average of 18 community doctor visits to make the eventual cow’s milk allergy diagnosis, and average time to diagnosis was 4 months. Surely, as it is so common, food allergy should be a routine item on every doctor’s (including dermatology) diagnostic list. If so, these children would get prompt diagnosis and treatment. It is clear that every one (children and adults) with on-going symptoms, including eczema (atopic dermatitis) should to be assessed for food allergy. What have other researchers found? My food allergy and eczema research is not an isolated piece of work. All research papers looking for the food-allergy-eczema-link find it. It has been demonstrated over and over that most children with severe eczema have food allergy. Research papers in Allergy/ Immunology journals report up to a half (35— 90%) of eczema babies have food allergy. The more severe the eczema, the more likely there is to be underlying food allergy/ intolerance. By contrast, reports in dermatology papers find lower levels of association – but they still do report a definite relationship (about 7—30%). This discrepancy is probably due underlying bias of the enrolled patients. The terms “atopic dermatitis (AD)” and “eczema” mean the same thing. Food allergy predominantly affects children rather than adults. Every country that looks for it, does find the food-eczema link. Here are 15 studies, from many countries, that have documented the relationship between food allergy and eczema. I give the reference and links to each paper, and a summary of their work. They are listed from those with a strong link, to those with weaker associations. D.J. Atherton, J.F. Soothill. The Lancet, 1978;311(8061):401-403. Studied 20 children (aged 2-8 years) with atopic eczema completed a twelve-week, double-blind, controlled, crossover trial of an egg and cows’ milk exclusion diet. Response was assessed in terms of eczema activity: 14 of these 20 (70%) patients responded more favourably to the antigen-avoidance diet than to the control diet. Sampson, McCaskill. J Pediatr. 1985;107(5):669-75. Heratizadeh and others. Curr Allergy Asthma Rep. 2011:11(4):284-91. Germany. Division of Immunodermatology and Allergy Research, Department of Dermatology and Allergy, Hannover Medical School, Germany. D. J. Hill, C. S. Hosking. Pediatric Allergy and Immunology. 2004:15 (5),421–427. Australia. A.W. Burks and others, Paediatrics, 132(1):132-6 1998. USA. 6. Strong link. “Patterns of sensitization in infants and its relation to atopic dermatitis.” Jøhnke et al. Pediatr Allergy Immunol. 2006;17(8):591-600. Denmark. Ogura and others. Arerugi, 2001:50(7): 621-8. Japan. Hill et al. J Paediatrics 2000:137(4): 475-479. Australia. Niggemann et al. J Allergy Clin Immunol. 2001 Dec;108(6):1053-8. Germany. “Atopic dermatitis is frequently associated with food allergy. In general, clinically manifested food allergy is regarded as IgE mediated. However, there are some children with food allergy for whom IgE hypersensitivity cannot be proven. 208 food challenges (DBPCFC) were performed in 139 children (median age, 13 months) with atopic dermatitis and suspected food-related clinical symptoms: 111 (53%) of 208 oral food challenge results were assessed as positive. E. Novembre, A. Vierucci Allergy. 2001;56 Suppl 67:105-8. Italy. HaukPJ. Curr Allergy Asthma Rep. 2008;8(3):188-94. USA. Only 1 of 15 (7%) of patients hospitalized for management of severe, unremitting atopic dermatitis (AD) was shown to have food allergy associated with eczema. Patients were closely observed for evidence of pruritus, eczematous responses, or IgE-mediated reactions. If results were inconsistent, double-blind, placebo-controlled food challenge was performed. Celakovská et al. Int J Dermatol. 2011;50(7):811-8. Czech Republic. Occurrence of egg allergy in patients over 14 years old suffering from atopic eczema, was studied – to see if egg allergy can deteriorate the course of atopic eczema: 179 patients with atopic eczema were studied (average age 26 years). It has been known for a long time that gluten is can cause skin disease. The classic example is a very itchy rash called “Dermatitis herpetiformis” (DH). It usually affects the elbows, knees, buttocks, scalp, and back. It begins as little bumps that then change into little blisters. People say that they are driven mad by the itching. DH is caused by an immune reaction to gluten in the skin. Microscopic clumps of gluten (called immune-complexes) get deposited just under the skin. This creates that itchy rash. These tiny particles of gluten can take years to clear up once you start on a gluten-free diet. It may take up to ten years before you make a full recovery. “Gluten sensitivity, with or without celiac disease symptoms and intestinal pathology, has been suggested as a potentially treatable cause of various diseases. There have been numerous reports linking celiac disease with several skin conditions. Dermatitis herpetiformis is actually a skin manifestation of celiac disease. Autoimmune diseases, allergic diseases, psoriasis and miscellaneous diseases have also been described with gluten intolerance. Dermatologists should be familiar with the appraisal of gluten sensitive enteropathy and should be able to search for an underlying gluten intolerance. Serological screening by means of anti-gliadin AGA), anti-endomysial (EMA) and tissue-transglutaminase (tTG) antibodies should be performed. This is an important statement. I have discovered that gluten intolerance is very common in children (and adults) with troublesome persistent eczema. It is certainly well worth looking for. In our clinic, after the age of two, gluten is the most common food trigger for eczema. There is overwhelming medical research evidence that eczema/atopic dermatitis is closely associated with food allergy. The more severe the eczema, and the younger the child, the more likely it is that food(s) is triggering the eczema. In older children and adults gluten sensitivity needs to be considered.